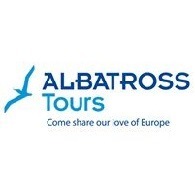 All Albatross Tours tours, river cruises, expedition cruises, and adventure trips. Find the best guided trips and expert planned vacation and holiday packages. Average rating of 3.8 for all Albatross Tours trips. * Please note 20 May and 21 September departures will stay at Hotel Guinigi in Lucca.